Jon L. Blummer was born Jacob Lupu Blumer on May 14, 1904 in Hartford, Connecticut. The family was of Jewish Roumanian ancestry. His father, Dr. Louis J. Blumer, was born in Roumania in 1879. His mother, Regina G. Blumer, was born in Roumania in 1883. His parents married in Roumania and immigrated to America in 1903. They had five children, of which he was the first born. 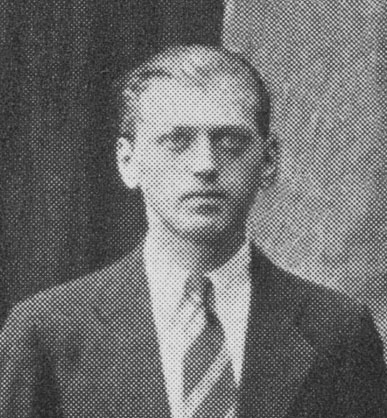 His younger siblings were Jenette (b.1909), Gertrude (b.1910), Adelaide (b.1913), and Alvin (b. 1916). They lived at 97 Ann Street. His parents were followers of naturopathy, which was an alternative holistic medicine based on faith in the healing power of nature's cosmic forces. In 1909 his father founded The Blumer College of Naturopathy, of which his father was President, Dean, Professor, as well as a practicing Doctor, who treated visiting patients. His mother was the school secretary. 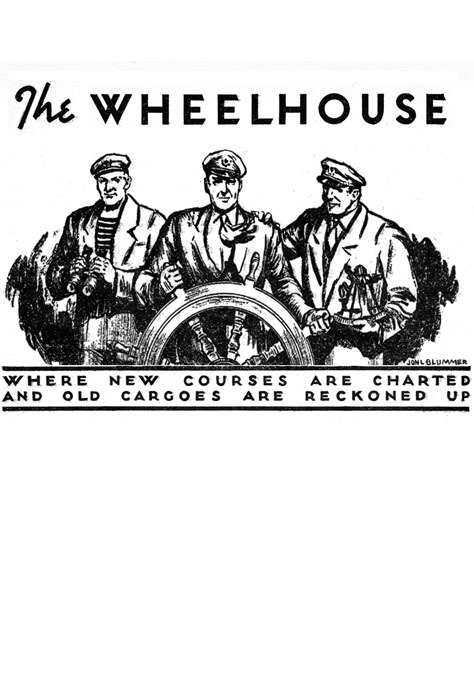 The school ran advertisements in local newspapers. In 1911 newspaper advertisements for the school began to describe his father as a Doctor of Psychology as well as Naturopathy. In 1918 during the Great War he was fourteen and a student in the ninth grade, so he was too young for military service. In 1922 he graduated Hartford High School. On December 6, 1923 as a result of Connecticut Grand Jury investigation of medical fraud, Hartford Deputy Sheriffs raided the Blumer College of Naturopathy. After a struggle with Dr. Blumer and twenty-four students, all the school's accounts, ledgers and papers were seized, including Dr. Blumer's checkbook. The Connecticut State Council of Health revoked the licenses of twenty-five doctors for holding repudiated diplomas. One week later, on December 14, 1923, Regina Blumer brought a divorce action on cruelty grounds against Dr. Louis Blumer, who no longer had a medical license. She sought alimony and the custody of their five children. She attached $40,000 worth of her husband's property. These scandalous events and the subsequent trial were covered in newspapers nationwide for several months, until the Spring of 1924. In the Spring of 1924, at the age of twenty, Jacob L. Blumer left his hometown in Hartford Connecticut and moved to New York City, where he worked as a line artist in newspapers. 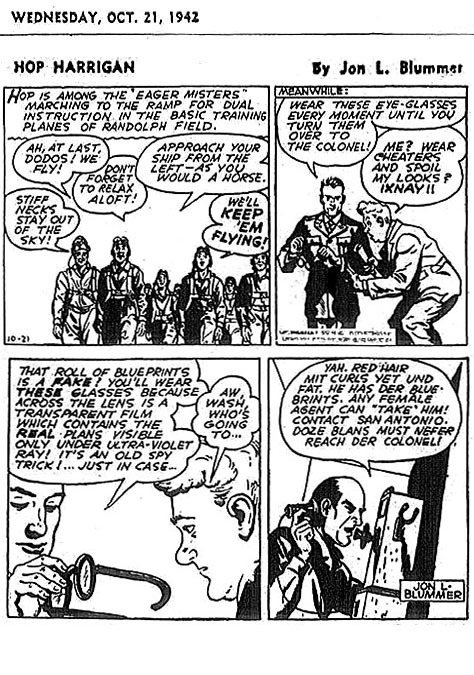 At first he used the name "John Blummer," but eventually he settled on the name "Jon L. Blummer." On October 14, 1927 at the age of twenty-three, he married Dorothy L. Tonge, who was nineteen. She was born October 7, 1907 in New Jersey. She had entered the work force after completing the 8th Grade and worked as a secretary in the Bronx. They moved to an apartment building in Queens, at 21-78 35th Street. Their monthly rent was $42.75. In 1929 his parents divorced. His father moved to Miami, Florida, where he started a new practice as a naturopath, while his mother moved to Brooklyn with her youngest child, Alvin, who was fourteen. They lived at 339 Lincoln Avenue. Eventually they both found work at the Royal Typewriter Corporation, where his mother was the First Aid Nurse and his brother was a salesman. In 1930 he enrolled as a full-time student in the three-year certificate program at Pratt Institute in Brooklyn, where he crossed paths with many other young artists who were starting careers as pulp artists. He studied with H. W. Scott, Frederick Blakeselee, and Rudy Belarski. 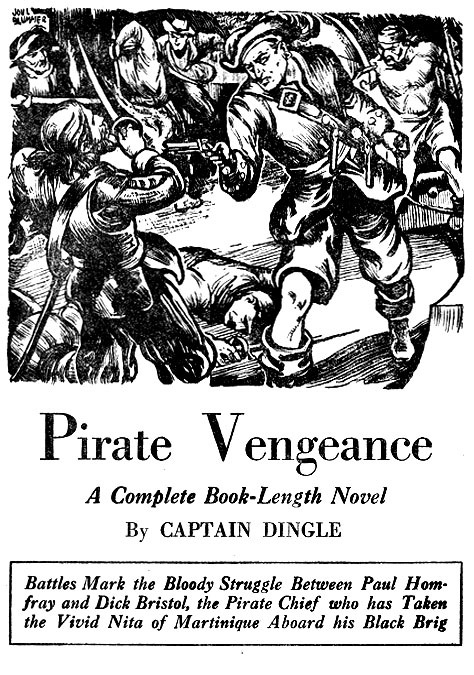 His classmates included Joseph Szokoli, Robert Jenney and Albert Micale, all of whom went on to draw pen and ink story illustrations for pulp magazines. In 1932, after completing only two years of the three-year program, he dropped out of Pratt to concentrate on earning a living. 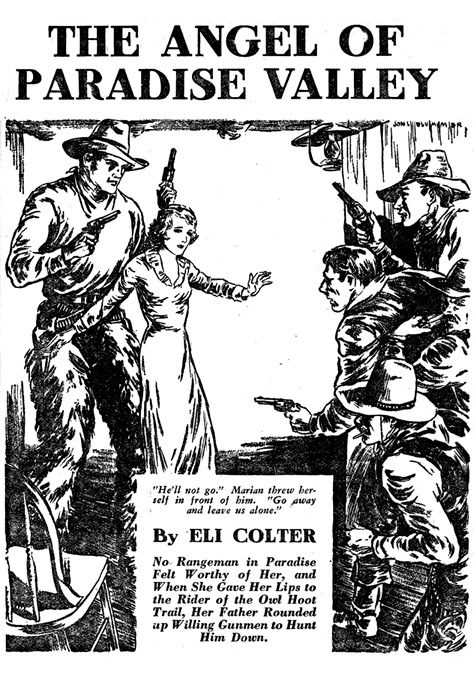 During the Great Depression the publishing industry suffered, but pulp magazines became wildly profitable, thanks to a successful business model of selling cheap thrills to the masses for pocket change. 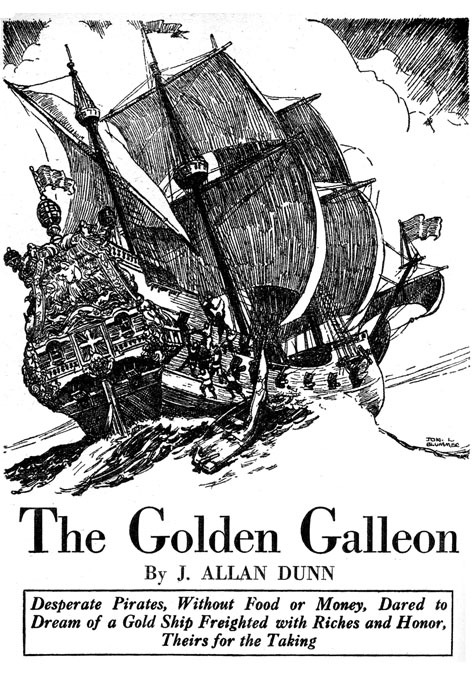 Jon L. Blummer began to sell freelance pen and ink story illustrations to pulp magazines for three-to-five dollars each, depending on each publisher's standard rates. 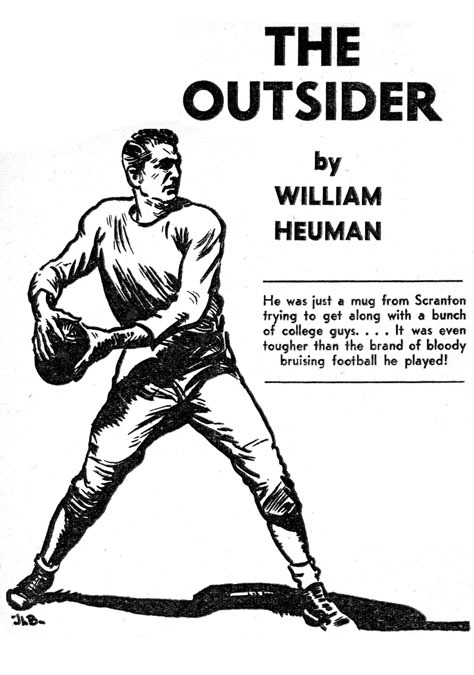 His work appeared in Clues Detective, Complete Western Book, Dime Adventure, Dime Sports, Pirate Stories, Flying Aces, Sports Novels, Western Action Novels, Super Sports and 10-Story Sports. In 1938 he and Dorothy had a son, John, after which they moved to a larger apartment at 340 49th Street in Woodside Queens, NY. 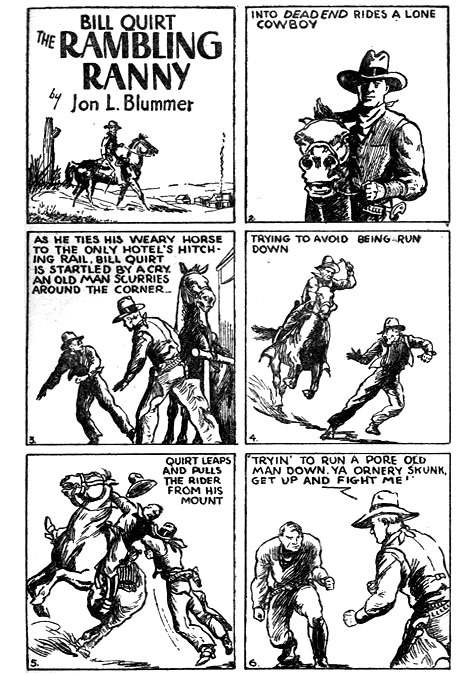 In 1939 he drew the syndicated newspaper comic strip The Lone Ranger. 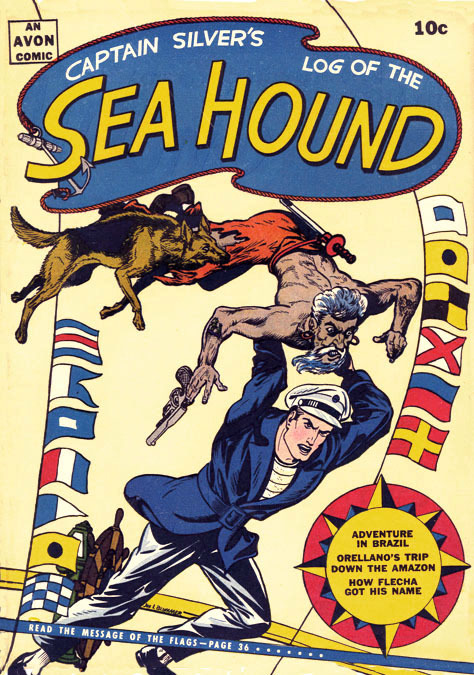 He later drew The Sea Hound and Hop Harrigan, which was very popular. 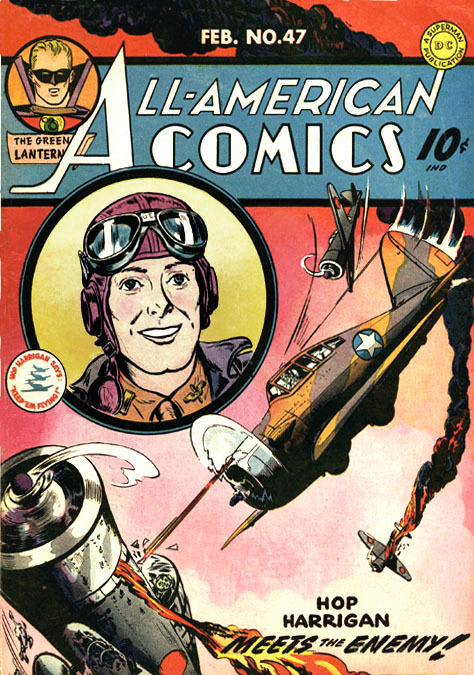 Mutual Radio produced a Hop Harrigan series, which was widely followed. 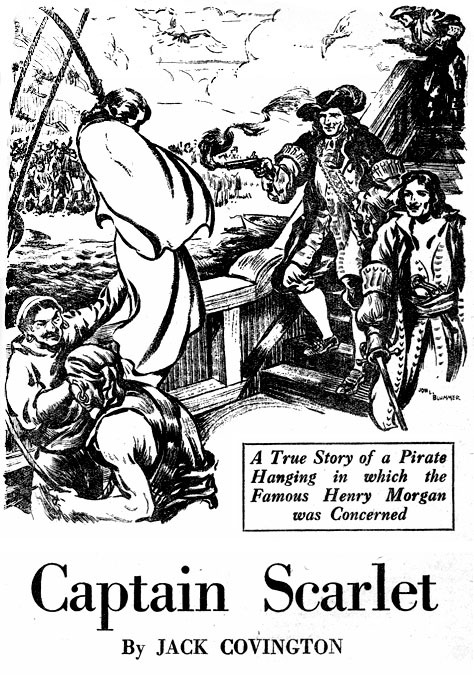 Then Columbia Pictures produced a Hop Harrigan serial. To reinforce copyright control of the cartoon character the artist legally changed his name to "Jon L. Blummer." 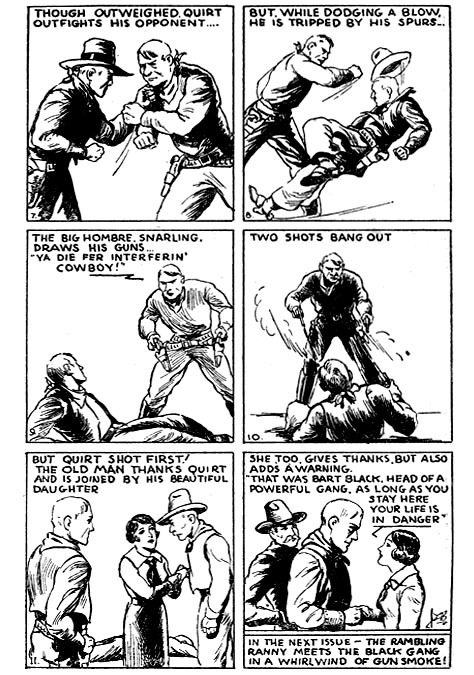 In 1940-41 he drew The Shadow Comic for Street & Smith. He did not serve in WWII, at which time he was thirty-eight years old, married and with an infant son. In 1943 he opened an art studio at 22 East 17th Street in the neighborhood of Gramercy Park. 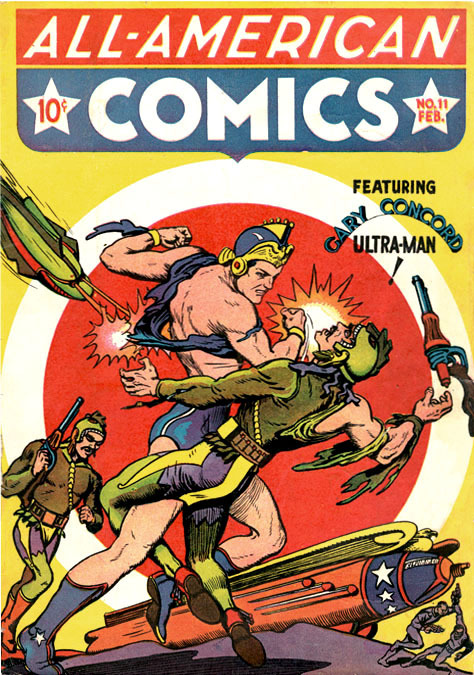 He continued to work in comic books, but used the pen names "John Elby" and "Don Shelby." In 1949 the family moved to a home on Greenwich Avenue in Greenwich Connecticut. Jon L. Blummer died at age fifty-one in October of 1955.